Joanna Barclay is a thought-leader, global speaker and published author on corporate culture and leadership for excellence, inspiring leaders to build values-driven organizations, the most successful on the planet. She is an award winning consultant with over 3 decades of success facilitating the transformation of leadership teams and organizations. With 15 years teaching yoga and meditation, she is passionate about self-mastery, mindfulness, and personal development, empowering individuals to reach their full potential. Audiences love the energy Joanna has for people and her work which focuses on how to bring engagement and happiness into the work environment to increase performance. Her specialty is speaking at global conferences and to leadership teams, connecting mind, body, and soul of leadership potential. Enabling leaders to get in touch with their creative selves, connect with each other, and contribute in meaningful ways that make a difference for people, profits and the planet. Joanna moved to Singapore from Canada in 2014 and is a fresh new face in the Asian marketplace. Looking for a speaker to inspire new thinking and conscious leadership to meet the challenges of the 21st century? Contact Joanna for your next event. People often ask me how to build a high performing corporate culture. I tell them it takes conscious leadership with: Awareness to engage the intellect, Belongingness to engage the heart, and Commitment to engage the whole organization, my ABC framework for High Performance. 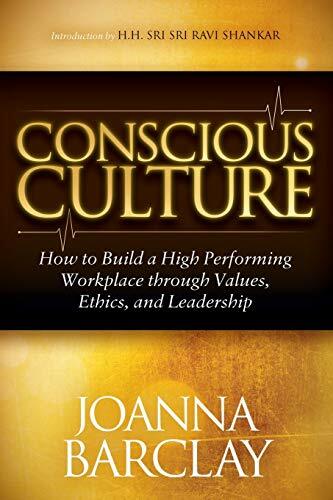 Conscious Culture – How to Build a High Performing Workplace through Values, Ethics, and Leadership. Artificial Intelligence is scaring a lot of people. It's creating an uncertain world, causing everything we know to change at lightning speed. Is Your Leadership Team Sabotaging Your Culture Transformation? The following is an exerpt from Carol Ring's newsletter: The Culture Connection Have you ever felt like a lone salmon swimming upstream against the current when trying to make change in your organization? Meet Joanna Barclay. The most successful projects I have worked on in my career were the ones where leaders made a large investment in managing the impact of change on their people. At a recent talk, an attendee asked if I had noticed a shift in the consciousness of people around the world. And the answer I gave was, yes. It is said that the two most important days of your life are the day you are born and no, not the day you die, but the day you realize why you are born. Why is the second so important? Because discovering your true purpose or calling in life connects to your inner passion for living.